I am a monarchist, wishing that the Queen of the United Kingdom still reigned over this country. Had the United States lost or only partially won the Revolution, we would have become a Dominion of the United Kingdom, in much similar way to how Canada did — and much bloodshed would have been avoided. 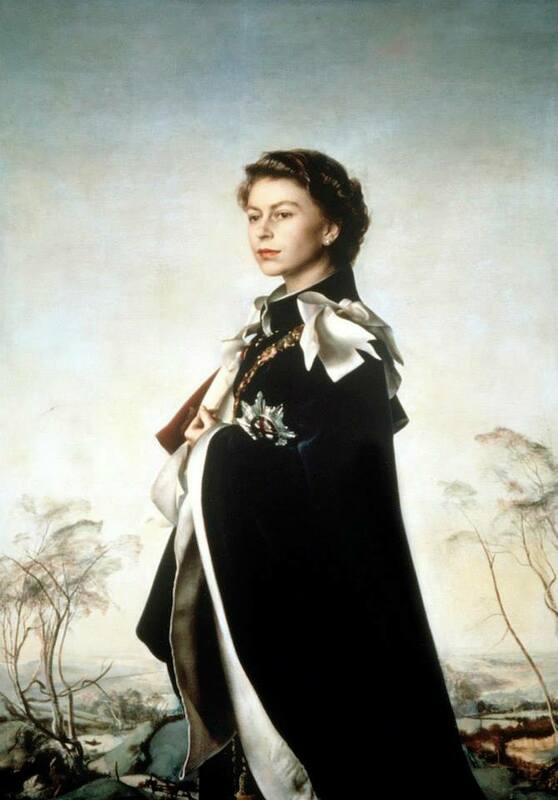 Pietro Annigoni – Queen Elizabeth II, 1954-5. Why am I a monarchist? Above all else, because I am an Orthodox Christian and a careful student of Christian theology, both Eastern and Western, Church history, and European history. My areas of specialisation are the Classical Greeks and Romans, Late Antiquity, Byzantium, medieval and early modern Britain, Renaissance Italy, early modern and Imperial Russia, and the British Empire. Aside from being a purely academic interest, I am fundamentally of the belief that monarchy constitutes the ideal form of human governance and have an abiding conviction that monarchy offers the best form of government known to mankind. Monarchies have existed for the entirety of known human civilisations, while democracy originates in Athens in only the sixth century BC, the Roman republic from the same period, and communism and fascism are both less than 150 years old (and already rightfully and widely completely discredited). I believe, and thousands of years of history have shown, that a man or woman instructed from youth in the art of government, a person who is trained from childhood to see their rule as a sacred duty, a solemn service, and a public stewardship rather than an earned right, governs more benignly, sincerely, capably, and nobly than someone who has either taken power through brute force, violent revolution, or contested elections. Democratic elections are an extraordinary thing in that they propose that, upon being elected, a politician who has previously been partisan, divisive, and factious will somehow, almost magically, cease to be partisan, divisive, and factious upon taking office. I believe it is the very height of naivete to believe that a popularly elected, partisan politician can somehow serve as a supra-political, unifying figure. My views are closest to those of the “High Tory” tradition in Britain, or, a distant second, the “Red Tory” one in Canada. In terms of political influences, besides Plato, Cicero, Marcus Aurelius, and the Christian Scriptures and writings of the Eastern Church Fathers, I have been most strongly influenced by the writings of Edmund Burke MP, Antoine de Rivarol, and Count Joseph de Maistre (anti-French Revolution) and then, in the twentieth century, the writings of C.S. Lewis, G.K. Chesterton, Nicolás Gómez Dávila, Roger Scruton, and Russell Kirk. 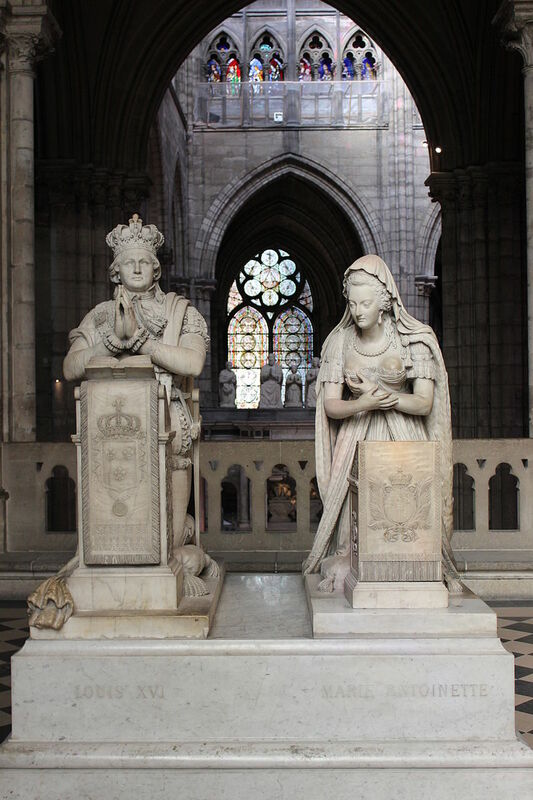 The tomb of Louis XVI and Marie Antoinette in the royal Basilica of Saint Denis outside Paris. Along with several monarchist friends, I administer the “Monarchists” group on Facebook, which you are welcome to join. Pravoslavie.ru, the Moscow Stretensky Monastery’s online publication, has published a number of my pieces on monarchy and Church history, including this essay “In This Great Service” in defense of monarchy. I wrote it from a theistic perspective generally, a Christian one more specifically, and an Orthodox one in particular. Here are some quotes relevant to my political beliefs. 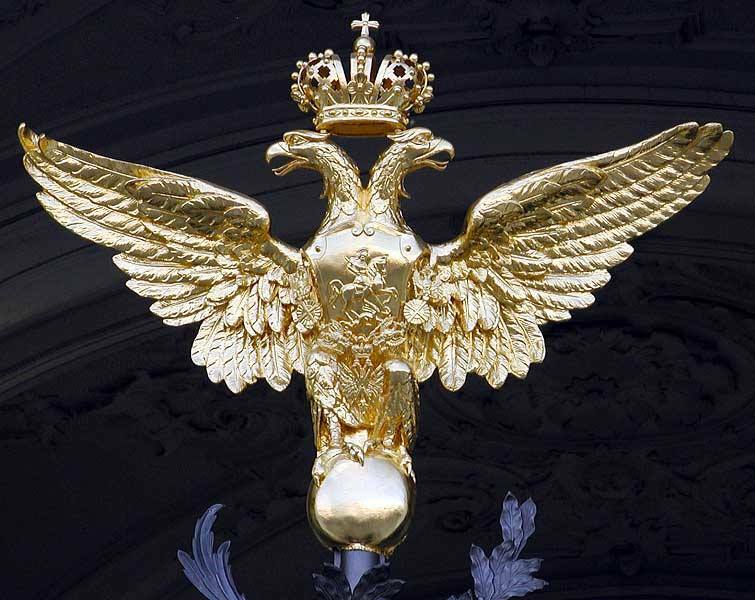 The double-headed Romanov imperial eagle, inspired by and adapted from the Christian Roman empire (Constantinople). The Crown, the Sages and Supreme Morality by Robert E. Ball, LL.B. This entry was posted in Uncategorized and tagged Antoine de Rivarol, Bourbons, British Monarchy, C.S. Lewis, Don Colacho, Edmund Burke, French Monarchy, G.K. Chesterton, High Tory, Joseph de Maistre, monarchism, Monarchist, Monarchist Facebook group, Nicolas Gomez Davila, Plato, Pravoslavie.ru, Red Tory, Roger Scruton, Romanovs, Russell Kirk, Russian Monarchy, Stretensky Monastery, Windsors by Orthodox in the District. Bookmark the permalink. Excellent post! Coming back to click on reading links. Another quote for you, ‘A priest who is not a monarchist is not worthy to stand at the altar table. The priest who is a republican is always a man of poor faith. God himself anoints the monarch to be head of the kingdom, while the president is elected by the pride of the people. The king stays in power by implementing God’s commandments, while the president does so by pleasing those who rule. The king brings his faithful subjects to God, while the president takes them away from God.’ Neomartyr Vladimir, Metropolitan of Kiev, tortured and killed by Bolshevikii on 7th February 1918. One of my favourites! Thank you, Jovan! God bless you, brother! One of the most important functions of a monarch is to preserve and protect the culture of his/her nation. Like our daft Pope, today’s monarchs have been woefully silent in the face of the recent Muslim invasion of Europe. They seem to be impotent when dealing with one-world-government billionaires. I am very disappointed in them and the institution of a monarchy. We all feel betrayed. I had long suspected this through your posts. How most interesting! I shall read all this very carefully. Thank you for this post. And even before then, humanity lived in tribes. What is your point? Besides, the Roman Republic wasn’t even a republic in the modern sense. It was an oligarchy, plan and simple with elements of democracy included in. This sounds all well and good, but how do ensure that an individual will think of only of the people instead of, say, keeping and maintaining their power, like any and all politicians do? Of course a democrat will rarely, if ever, think in partisan terms. However, that’s why we have different forms of democracies. Multiparty democracies, such as Germany or France, are certainly more likely to be bipartisan due to their very nature. One party is very unlikely to win an election on their own, so they will need to make compromises with other parties in order to pass them through. This is unlikely in a two party system, where the two parties control almost all governmental positions. Completely valid, that’s why very few people actually believe that a figure will be an all unifying force in all manners and forms. Conservatism is — first and foremost — with maintaining the status quo. Of course, there are a variety of politicians who could refer to themselves as progressive conservatives, wishing to improving the lives of their citizens while also keeping existing institutions in line. Theodore Roosevelt is a major example of this. At least they did something to earn their position. That’s all well and fine — the problem is this is purely theoretical. Philosophy only works so well until you get into the real world. Do we or do we not increase spending on healthcare, or leave it to the private sector? Do we or do we not increase military spending, while people are starving in the street — is it better to defend the homeland against potential invaders or let the people starve? Is it better to increase infrastructure spending or spending on social services? All philosophers will have different options on these different topics. Plato’s philosophy doesn’t apply well to the real world where these questions are deeply, deeply important. Fantastic post! I agree, the monarchy is the ideal form of government.